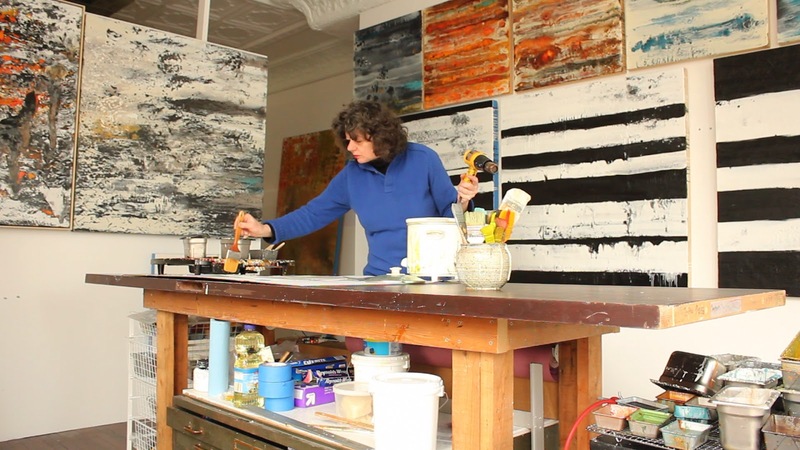 Studio Visit Video: New videos on the site: "Lynn Basa: Black and White"
New videos on the site: "Lynn Basa: Black and White"
This was fun. Her studio has floor-to-ceiling windows that make it very video-friendly. 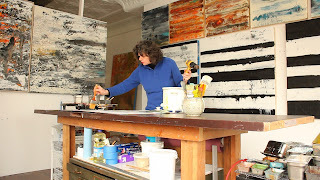 When she paints, she uses a torch on beeswax and that melts and moves around like some kind of natural process, like orogeny or the evolution of organic tissue. This is a very short film that's going to be used in conjunction with a body of work she's creating for Holly Hunt, Inc., the international design firm. You can see the finished video on my much-reworked website: "Lynn Basa: Black and White."